After an awesome weekend, Monday morning was rough. And not just Monday morning rough, but rough because I’d come down with strep. As had the baby. Fingers crossed Mr. P and Shea have escaped, but my mother-in-law wasn’t so lucky. It’s summer…it’s not strep season! It’s hard to believe it’s August already and I feel like summer is going to be gone so soon. One of the best evenings so far this summer was the night before my birthday. Mr. Prevention and I went out to a local pizzeria and watched the sun set over the lake. We were sitting next to several other couples and we took turns taking pictures of one another, being sure to get the sunset in the background just right. The garage door windows were wide open and the bustle of tourists provided the perfect people watching. While we always enjoy the pizza, I tried the wedge salad for the first time. It was loaded with goodies – tomatoes, blue cheese, egg, and bacon. It was filling but of course my other half doesn’t consider a salad a meal unless it comes with some type of meat or seafood. 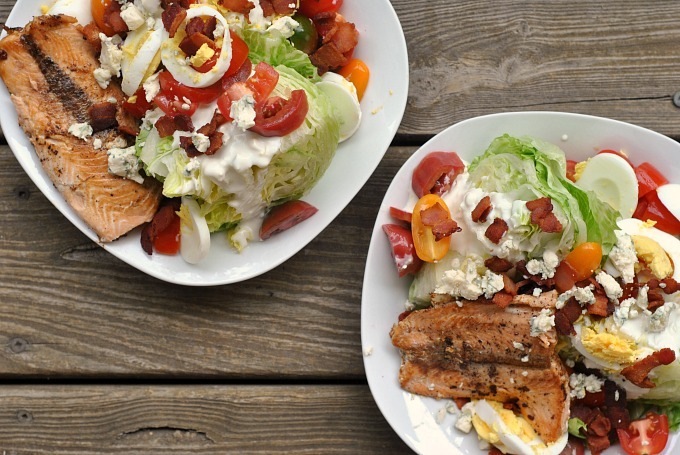 So, I remade these wedge salads at home the very next week…and added grilled salmon. 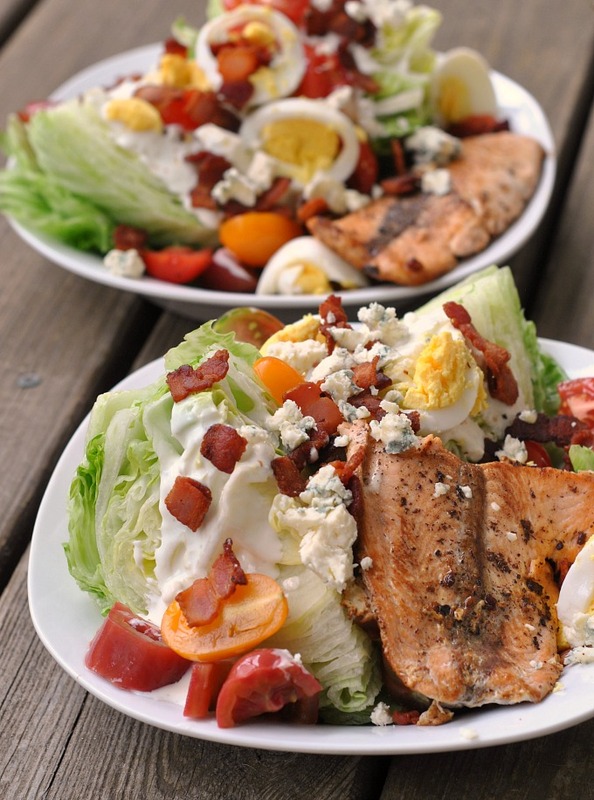 Packed with protein, these salads are the perfect mix of good for you and just plain’ol good! 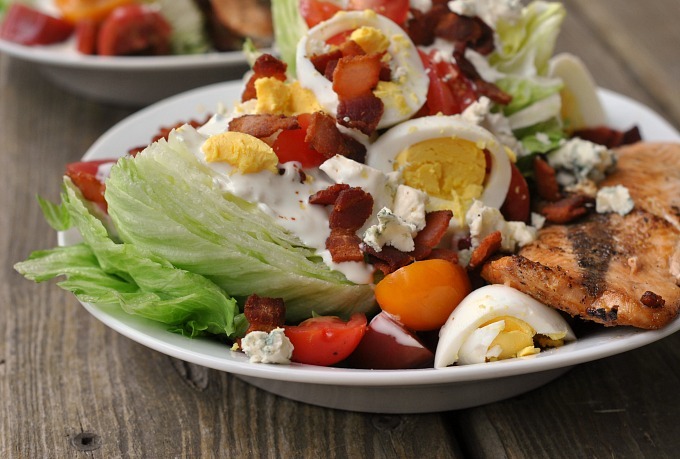 Creamy bleu cheese dressing, salty bacon, sweet tomatoes, and tangy bleu cheese – deeelish! Season salmon with salt and pepper. 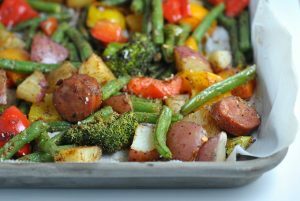 Grill for 4-5 minutes; flip and grill an additional 3-4 minutes or until cooked through. In a small bowl, mix together the bleu cheese dressing and buttermilk until well-combined. Place 2 wedges (1/2 head) of lettuce on two separate plates. 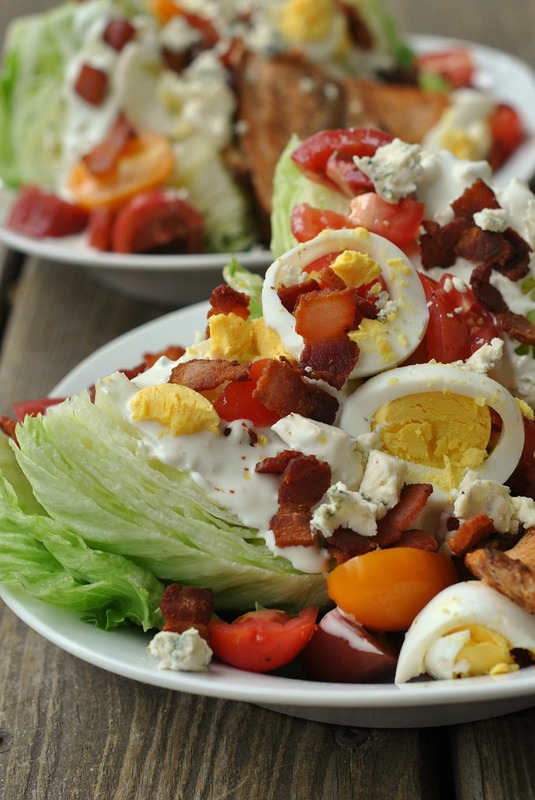 Drizzle each with ½ of the dressing and garnish with the bleu cheese crumbles, tomato, bacon, and egg. Serve salmon alongside the salad. I love the salmon addition! Genius. That sounds like a perfect birthday. Hope you and the little one feel better soon! Chopped salads are the best!! Iceberg lettuce is so refreshing and crisp. I love the twist of using salmon. Salmon is my absolute favorite, so I’m totally down for adding it to anything. What fish would make a good substitute for the Salmon? I love pretty much all seafood but can’t stand salmon. Hi Grant! Mahi mahi or snapper would be delicious! 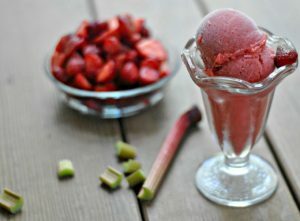 Your content and photo have been stolen by foodblogs.com They have taken your photo and pins of your photo are attributed to them. These scumbags think they have a website but all they do is steal other people’s work. They do have a follow link to your site which is actually better than most scumbags that do the same thing. Great looking easy salmon meal.